The study found a prevalence of pneumonia of 18.40% with a mortality rate of 12.74%. Pneumonia mortality was found to be associated with maternal education (p<0.001), occupation (p=0.01), income (p=0.02), pneumonia severity (p<0.001) and number of rooms occupied by a household (p=0.01). In multivariate regression, severe pneumonia increased the odds of pneumonia mortality (OR=18.23, 95% CI= 4.37-76.10, p<0.001). However, maternal education showed reduced likelihood of pneumonia mortality (OR=0.59, 95% CI= 0.36-0.97, p=0.039). Pneumonia places a high burden on the health of children under five years admitted to KATH. Health workers need to sensitize caregivers on the signs and symptoms of pneumonia to aid early detection and reporting which could reduce mortality. Liu L, Johnson HL, Cousens S, Perin J, Scott S, Lawn JE, et al. Global, regional, and national causes of child mortality: An updated systematic analysis for 2010 with time trends since 2000. Lancet. 2012;379(9832):2151–61. Walker C, Rudan I, Liu L, Nair H, Theodoratou E, Bhutta Z, et al. Global burden of childhood pneumonia and diarrhoea. - PubMed - NCBI. Vol. 20, Lancet. 2013. p. 1405–16. Black RE, Cousens S, Johnson HL, Lawn JE, Rudan I, Bassani DG, et al. Global, regional, and national causes of child mortality in 2008: a systematic analysis. Lancet. 2010;375(9730):1969–87. Loeb M, Neupane B, Walter SD, Hanning R, Carusone SC, Lewis D, et al. Environmental risk factors for community-acquired pneumonia hospitalization in older adults. Vol. 57, American Geriatrics Society. Journal. 2009. p. 1036–40. Le Roux DM, Myer L, Nicol MP, Zar HJ. 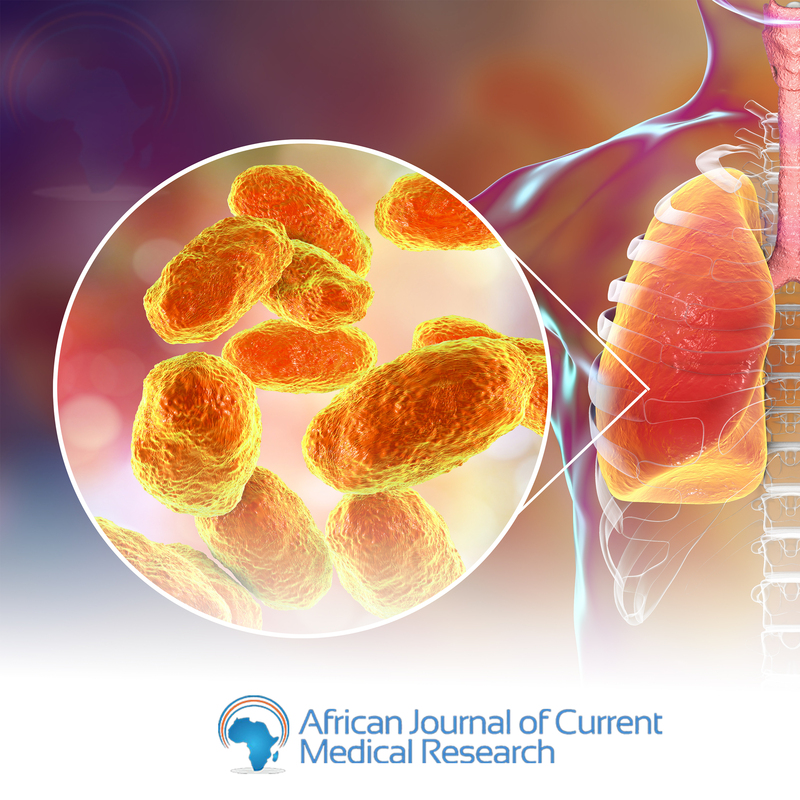 Incidence and severity of childhood pneumonia in the first year of life in a South African birth cohort: The Drakenstein Child Health Study. Lancet Glob Heal. 2015;3(2):e95–103. Organization WH. WHO Pneumonia. 2014. Igor Rudan;Cynthia Boschi-Pinto; Zrinka Biloglav;Kim Mulholland;Harry Campbell. Epidemiology and etiology of childhood pneumonia. Bulletin of the World Health Organisation; 2008. Rudan I, Boschi-Pinto C, Biloglav Z, Mulholland K, Campbell H. Epidemiology and etiology of childhood pneumonia. Bull World Health Organ. 2008 May;86(5):408–416B. Bokade CM, Madhura AD, Bagul AS, Thakre SB. Predictors of mortality in children due to severe and very severe pneumonia. Niger Med J J Niger Med Assoc. 2015;56(4):287. Sehgal V, Sethi GR, Sachdev HPS, Satyanarayana L. Predictors of mortality in subjects hospitalized with acute lower respiratory tract infections. Indian Pediatr. 1997;34(3):213–9. Young RC, Castro O, Baxter RP, Dunn R, Armstrong EM, Cook FJ, et al. THE LUNG IN SICKLECEXLL DISEASE : A CLINICAL OVERVIEW OF COMMON VASCULAR , INFECTIOUS , AND OTHER PROBLEMS. J Natl Med Assoc. 1981;73(1). Onwubalili JK. Sickle cell disease and infection. J Infect. 1983;7(1):2–20. Booth C, Inusa B, Obaro SK. Infection in sickle cell disease : A review. Int J Infect Dis. 2010;2–12. Arpitha G, Rehman MA, Ashwitha G. Effect of severity of malnutrition on pneumonia in childern aged 2 M-5Y at a tertiary care center in Khammam, Andhra Pradesh: a clinical study. Sch J Appl Med Sci. 2014;2:3199–203. Unicef/Who. Pneumonia The Killer of Children. The United Nations Children’s Fund (UNICEF)/World Health Organization (WHO). 2006. 1-44 p.
Ghana Statistical Service. Ghana Living Standards Survey Report of the Fifth Round ( Glss 5 ). Exp Parasitol. 2008;113(Glss 5):1–146. Dakwah AG. Risk factors for pneumonia in children under five at Komfo Anokye Teaching Hospital. 2012;(July).